Seema and Vipin Patel took over Natsons Barnes in 1989. 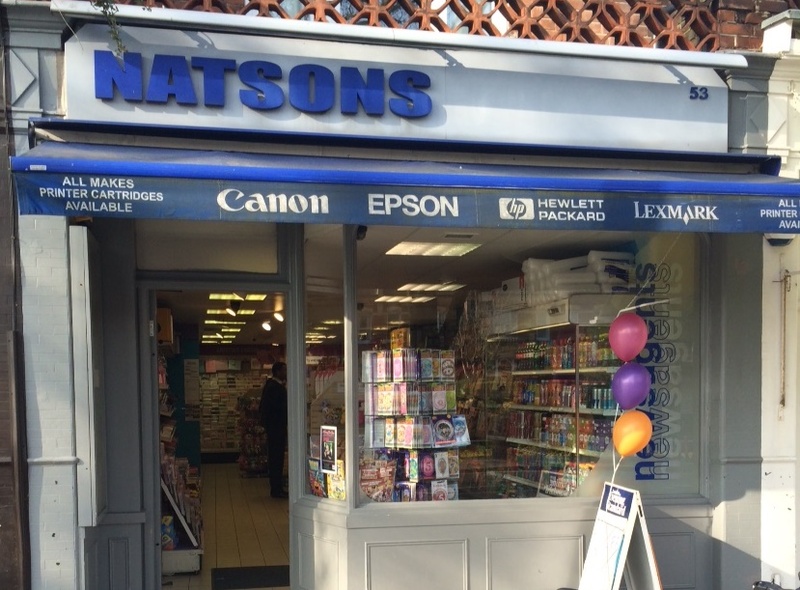 Natsons prides itself in being an integral part of Barnes community. We take part in all local charitable events, support the local schools, sponsored a Christmas dinner in 2013 for the elderly and work closely with Barnes Community Association towards a greener Barnes by planting trees on Barnes Green. With our enthusiastic, friendly and committed staff, we have grown Natsons into a top newsagent by winning various national awards. Natsons Barnes are proud to announce that we are the winners of the Best Non Specialiast Independent Retailer of Greeting Cards at The Retas Greeting Card Retail Awards 2016.